Turn your Christmas tree into Fort Knox with the Gift Alarm.The whole point of wrapping gifts is so they'll be a surprise, not so people can peel back the paper and peep. 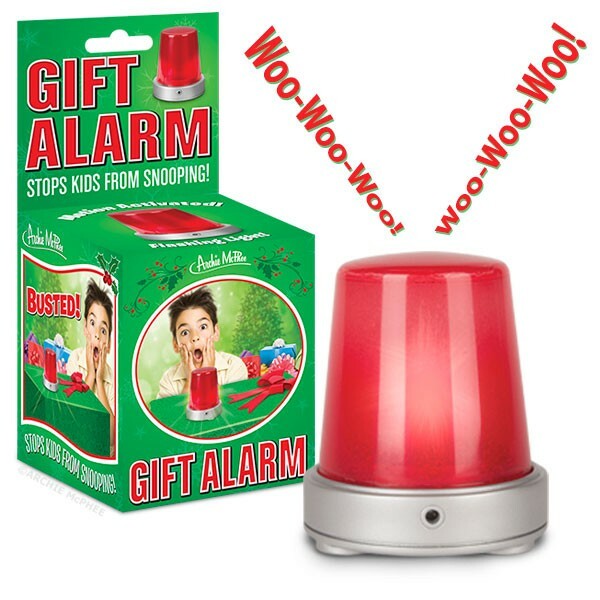 This 2-3/4" tall Gift Alarm has a motion detector with a 4 foot range. 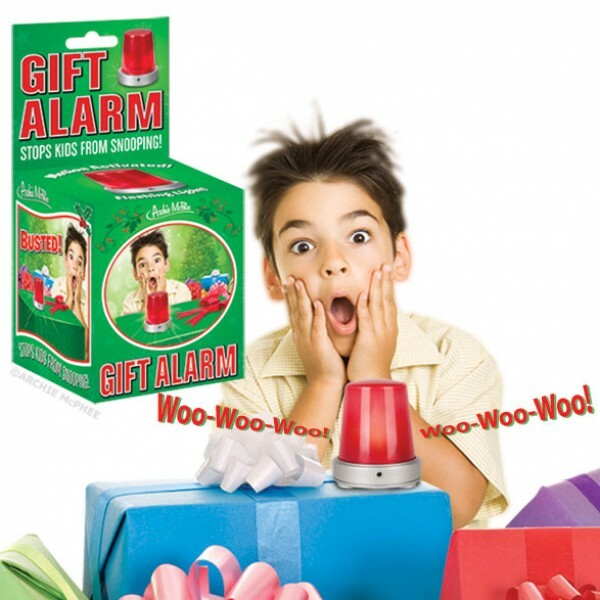 If some lookie-loo tries to approach their stack of gifts, the alarm goes into DEFCON 1 with a loud siren and flashing red light. It's not Christmas specific, so you could also use this to protect the last piece of cake or your diary.